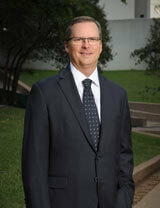 Douglas J. Buncher began practicing law in 1989, and joined Neligan LLP in 2000. Mr. Buncher handles complex litigation arising from bankruptcy cases, SEC receiverships and cross-border insolvencies, as well as Chapter 11 bankruptcy matters for both debtors and creditors. Buncher’s business degree in finance brings added value to Neligan LLP clients, allowing him to quickly understand and assist clients with both financial and legal issues, including complex cases that require analysis of recoverable damages and the formulation of damage models. Buncher enjoys working with clients in a wide variety of industries, and learning more about each client’s business. He prides himself in keeping up with the latest technology in his litigation practice, to make the process more streamlined and efficient. With more than 25 years of experience, Buncher has handled a number of high-profile bankruptcy and receivership related litigation matters, including multi-billion dollar litigation on behalf of the SEC receiver and the Official Stanford Investors’ Committee in the widely publicized Stanford receivership, and litigation on behalf of bondholders in the Global Crossing bankruptcy. Buncher has also been involved in a number of cross-border insolvency and SEC receivership cases including the InverWorld case in San Antonio, Texas, a case involving a U.S. broker-dealer and a Cayman Islands affiliate with several hundred million dollars of investments. He has also represented corporate debtors in their Chapter 11 proceedings in a wide variety of industries, as well as receivers, trustees, and litigation trusts created under Chapter 11 plans in a variety of complex litigation. Buncher has represented clients in cases involving claims for director and officer liability, breach of fiduciary duty, Texas and federal securities law violations, RICO, negligence, fraudulent transfer under both state and federal bankruptcy law, equitable subordination, tortious interference with contract and prospective business relationships, fraud and negligent misrepresentation, misappropriation of trade secrets and breach of contract. He has also successfully represented high net worth individuals in individual Chapter 11 bankruptcy cases when those individuals were forced into bankruptcy as a result of their companies’ bankruptcies. Admitted to practice before the U.S. District Courts for the Northern, Southern, Eastern and Western Districts of Texas and the Fifth Circuit Court of Appeals.